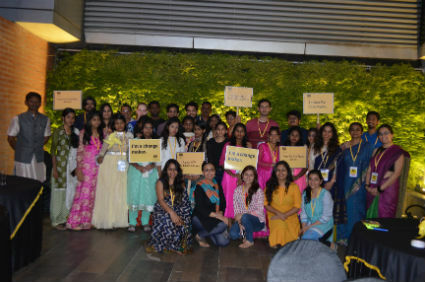 Bangalore: Child Rights and You (CRY) organized a fundraising event at CoWrks-RMZ Infinity, Bangalore. Children from CRY supported projects will be creating art pieces together with guidance from a renowned artist and auction the creations at the event. India today is taking significant steps towards a confident, secure and inclusive future. Yet we face significant challenges to be able to uphold and secure the childhoods of 440 million children in India. Year after year the shocking statistics about our country’s children hardly ever change. No doubt our country has progressed, yet there exists another India where 440 million children’s rights are being violated, where their struggles are unheard. Through this event, CRY created a platform of equal opportunities and a sense of belonging for children. 20 HNI’s along with their children supported the event.